Boston hotel rates are notoriously expensive, soaring higher at times than even New York City, LA, and San Francisco. So can you save money by considering suburban hotels outside of Boston for your next visit? Boston hotel rates do drop outside the central city neighborhoods - Downtown, Back Bay, Beacon Hill, Fenway, the West, South, and North Ends - and suburban hotels may be even cheaper. But before you rush to book a hotel on Boston's outskirts, consider this: the hotel may be far from a subway station or other public transportation. In fact, it may be so far away that even an economic car service such as Uber or Lyft will cost you more for a round trip into the city and back than you'll save, not to speak of the chunk of your precious vacation time you're wasting while sitting in Boston's always-snarled traffic. And if you're planning to drive your own car into Boston, you'll spend the same or more time in traffic (Boston's one-way streets always delay the unwary) plus you'll spend an unspeakable amount of money on ski-high Boston parking fees. So . . . if you want to save money by staying at a hotel outside of Boston, follow this simple strategy: choose a hotel within walking distance of a subway station. We'll show you some of the best. 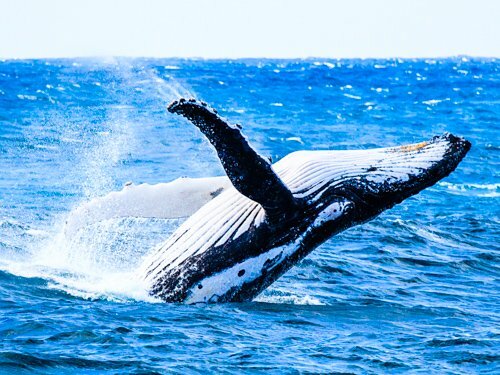 You don't actually have to venture far outside of Boston to start saving on lower hotel rates. Take a look a few of our favorites, starting with one that is just 5 minutes by subway from Downtown Boston. 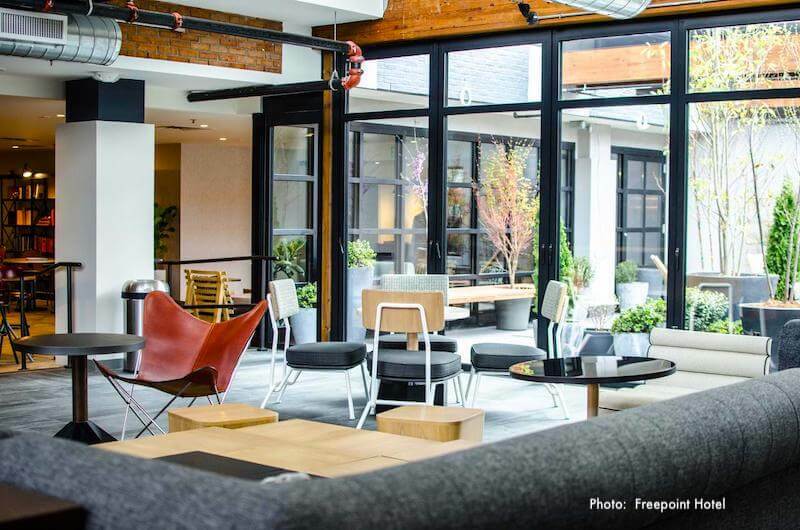 The Row Hotel anchors the Assembly Row shopping/entertainment complex in Somerville just to the north of Boston, and is just steps away from the new Orange Line's Assembly Row T (subway) station. Hop on, and you'll be in Downtown Boston in 5 minutes. Dazzling modern architecture in a brand-new building, an indoor swimming pool with private cabanas, and a relaxing roof terrace are just a few more reasons to love The Row Hotel. 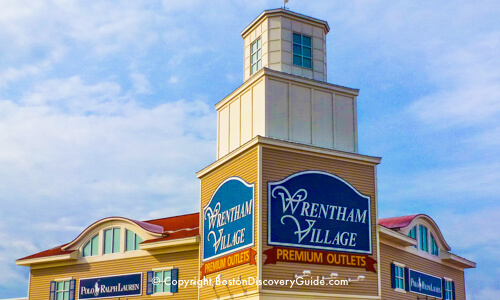 Best of all, the hotel puts you right at the center of the exciting Assembly Row shopping/entertainment complex, yet just a 5-minute subway ride gets you to Downtown Boston. 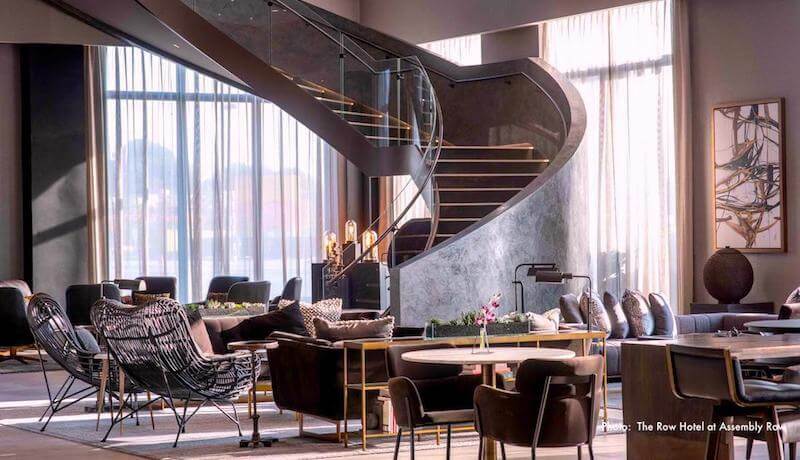 At first glance, there's no obvious reason to stay in this sleek new AC Hotel on the western edge of Cambridge unless a work trip brings you to the business/research park where it's located. 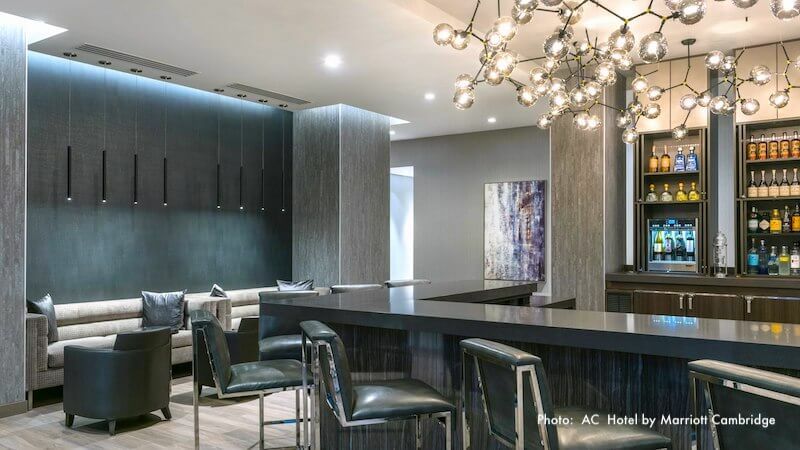 But here's the "hidden secret" lure of the AC Hotel Cambridge for Boston or Cambridge visitors: it's just a 5-minute walk to Alewife Station on Boston's Red Line, which gets you to Downtown Boston in 20 minutes. It's also a great option for anyone visiting Harvard - about a 10-minute ride from Alewife. A couple of good restaurants, including a suburban branch of celebrated Boston chef Jasper White's Summer Shack seafood restaurant, are located next to the station. And the hotel itself is lovely, with plushly comfortable guest rooms and well-equipped suites, stylish public spaces, and a tranquil outdoor terrace. You do sometimes need to book well in advance here in order to get good rates, as the hotel is popular with visitors to the nearby offices and research labs. Freepoint Hotel in West Cambridge is also close to Alewife Station on the Red Line - about a 10-minute walk. Located in a strip mall, the Freepoint looks rather non-descript on the outside, but inside has a bright modern vibe and large comfortable rooms. In addition to an onsite restaurant, a Whole Foods is located almost next to the hotel in the shopping center, and several small restaurants are across the street. 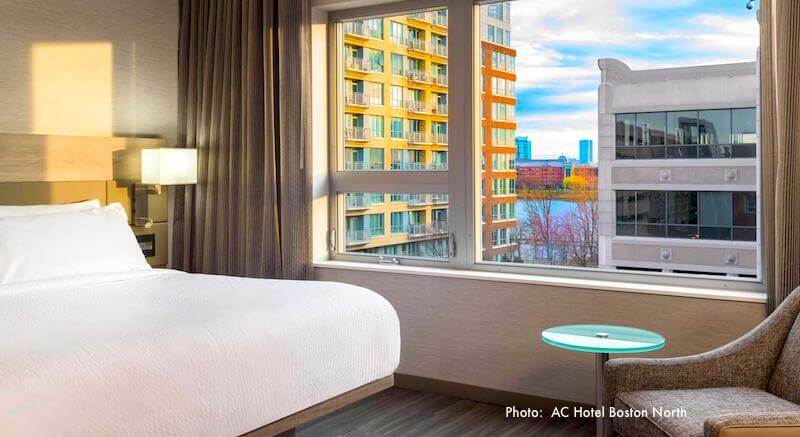 You can usually find attractive rates at the AC Hotel Boston North in Medford, especially considering it's location only a block away from the Orange Line's Wellington Station, about a 10-minute ride to Downtown Boston. Studio Allston Boston is a boutique hotel overlooking the Charles River and Herter Park - close to Harvard Stadium (site of Boston Calling music festival) and the Head of the Charles Regatta, as well as Harvard University, Harvard Business School, and Boston University's West Campus, and is about 3 miles from Downtown Boston. 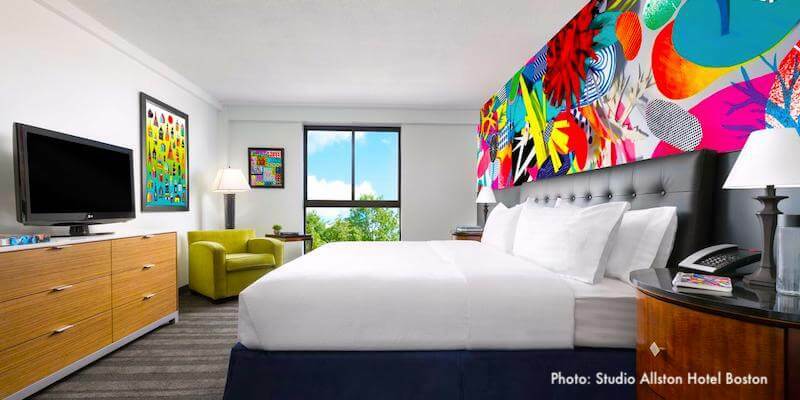 You can expect affordable rates (usually), spacious rooms with vibrant art by local artists, a Cuban-themed restaurant and bar with music, and a fun vibe. No public transportation nearby (unless you walk about a mile to the Harvard Square subway station, which is actually a pleasant walk), but assuming you avoid rush hour traffic, a car service ride such a Uber or Lyft to central Boston and back will cost a lot less than parking in the city for the day. Did you know that Boston Logan Airport's location just across Boston Harbor from the city means you can get Downtown in only 7 minutes by water taxi? So if you're looking to save money by staying outside of Boston, airport hotels are a good option to consider. 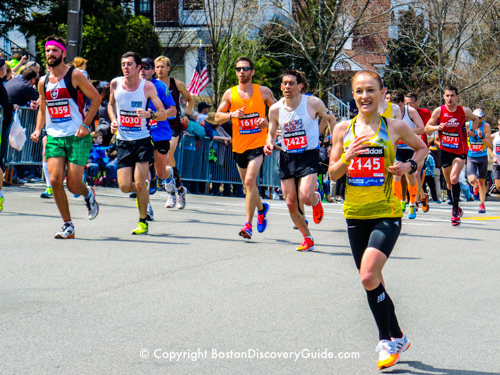 Sometimes, you may be planning a couple of Boston activities plus other excursions outside of the city. At other times, hotels in Boston and Cambridge book up due to conventions, graduations, or even seasonal events such as fall foliage. This is when looking for inexpensive hotels in Boston's suburbs may make sense. Good areas to try are Lexington, Waltham, Newton, and Needham. They're reasonably close to the Mass Pike (which comes into Boston from the west), Route 128 (which circles Boston), and Route 2, which goes to the Alewife subway station on the Red Line. You can fairly easily reach various Green Line stations in Newton - but the Green Line "trains" (in reality, above-ground trolleys) are considerably slower than the Red Line trains. Is Staying Outside of Boston Worth the Savings? Is the savings worth the time, inconvenience, and cost of having to commute into town by subway or Uber, or worst yet, drive in and park? That's a question that only you can decide. Whatever you end up deciding, enjoy your time in Boston!